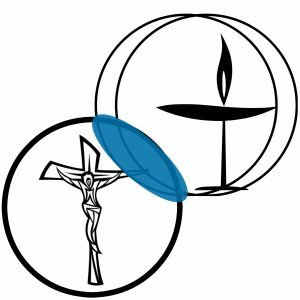 This sermon, “Why Would a Practicing Catholic Attend UU Services Every Other Week? : Redux,” was originally delivered to the congregation of Harmony, a Unitarian Universalist Community, on May 21, 2017. It is published here with permission from the writer, with all rights reserved. Good morning. I think most of you know me but for those who don’t, my name is Jon King. Before I begin I’d like to thank Dale once again for that performance. If it wasn’t clear, the opening song, “Catholic Blues,” was a Dale Bodmer original, written specifically for today, and it captures my feelings regarding the Catholic Church pretty succinctly. He even observed the importance of bingo and beer, the 8th and 9th sacraments, respectively. And now, as a counterpoint to that…you get me. By the title of the sermon, you can probably draw some conclusions about today’s discussion, and a good number have already seen a version of this that I did 3 years ago. I am a practicing Roman Catholic, and yet I come to Harmony at least once and usually twice a month for services. Now, to be sure, growing up Catholic doesn’t make me unique among this community. But remaining so is a bit unusual around here, and that has made me somewhat conflicted about my faith and what it means. I’d like to explore that with everyone today, in a personal way. And since this is an update, I’ll talk about how my relationship with both faiths has evolved over the last 3 years. I’m going to be speaking almost exclusively about my personal journey to where I am now, and so there won’t be a lot of detailed religious scholarship presented here. I’ll try to highlight a bit about what our respective faiths believe, but this will definitely not be a Catechism refresher, since most of that sort of thing I acquired through high school was deleted by around 1998 anyway. I will attempt to make some connections between Catholicism as I understand it, and UU principles as I understand them. As such, nothing said here today should be considered “truth” in any way beyond the context of our conversation here… this is just me talking about what I believe, and hope it will resonate with some few of you in the audience. As we’ve covered I was raised Catholic in a very small town called Republic (Population: 750. Motto: “Small in Size, Big in Heart.”) in Northwest Ohio, youngest of five children born to working class parents. 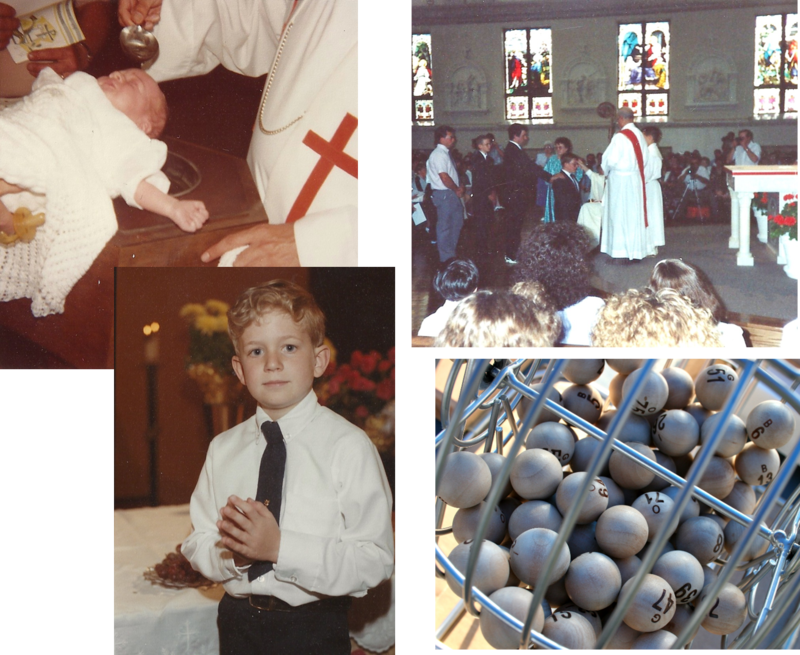 My childhood parish, St. Aloysius (doesn’t get much more Catholic than that, folks), had a congregation of perhaps 300, and it was there that I did all the things that a Catholic kid does, including all the major preparatory sacraments: Baptism, First Communion, Confirmation, Bingo. I attended St. Mary’s School for elementary and junior high, and Calvert Catholic High School, both in Tiffin, Ohio. I graduated high school in 1996, so it was about a generation beyond the “nuns ruling your life” era of parochial education. I had maybe three non-lay teachers in my tenure, and I count them all as among my favorite educators. None of them ever used a ruler beyond the conventional application. Here’s a nice visual of the contrasts we brought to the relationship, which also illustrates and confirms one of the many Catholic stereotypes (yay, bonus!). Here is a nice wedding-day photo of Em’s family. Aaaannnddd…here’s mine. This was actually pretty tame. True story, this tiny farm-community parish featured not one but TWO families with 12 daughters. The patriarch of one of these families was also the deacon of the parish. He always looked tired. 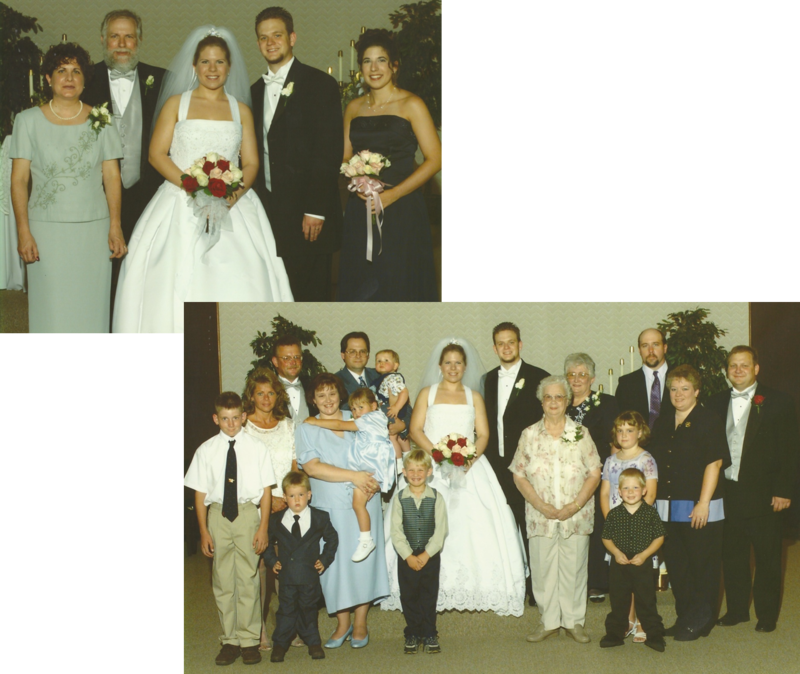 Shortly after we married we moved to the Cincinnati area, and I struggled to find a church that I could feel as close to as that tiny parish in Republic, Ohio. In the Cincinnati suburbs, all the parishes are huge and frankly a bit intimidating. It’s also hard to decide which one you “should” go to, especially when my small-town upbringing pretty much dictated that you went to the parish in your town. There was one particularly uncomfortable weekend when I stumbled into a parish in Sharonville that had not adopted the Catholic reforms of the 1960s. If you’re not familiar, these would be the reforms that decided it was okay to say mass in a language other than Latin, and that women were allowed to wear pants. I was the only man not in a suit and tie, the women all wore head coverings, and the priest’s fire-and-brimstone sermon was directed, I thought, directly at me and my sinful polo shirt. I did not return, and they did not ask. as such at the time. Wise men have beards. That’s a fact! Okay, just a tiny bit of scholarship: the “Age of Reason” is a Catholic canonical term for “the age at which children attain the use of reason and begin to have moral responsibility.” This is usually considered to be somewhere between 7 and 13, depending on who you ask, but in the real world seems to be somewhere north of 30. 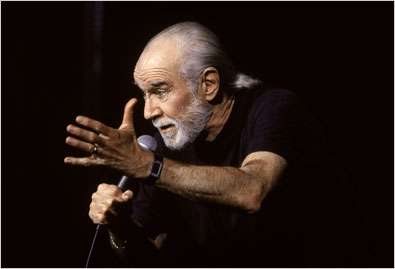 Anyway, Carlin included this line in his 1996 HBO special “Back in Town.” He said this during the first and probably best remembered segment of the show, which was devoted to the inconsistencies of the pro-life message of religious conservatives of the time. It could just as easily have been recorded yesterday. It hit on several points: that Catholics (and other conservative Christians) are against abortion…and also against homosexuals. “Well who has fewer abortions than homosexuals?! They’d seem like natural allies!” The greater segment included questions about why it’s okay to kill mosquitoes (‘cause they’re pests! ), lions (‘cause it’s fun! ), chickens (‘cause we’re hungry! ), and some people (‘cause they’re pests! And it’s fun! ), but never a fetus. Except that his argument here made way too much sense to me. During high school I had also started to politically identify much more with Democrats than Republicans, but the liberal stand on the social issues of homosexuality and abortion rights were problematic when viewed through my faith. Add this to my new exposure to other religions at college—my roommate was a Mennonite who thought Catholics were, amazingly, way too liberal about everything—and it began a long, still unfinished line of questions about my personal faith. Anyway, she convinced me to come along after a few months. I was immediately struck by how easy it was to express an opinion here, about anything. I began to truly look forward to the sermon at each service as well as the discussion following it, something I don’t think I’d ever experienced at a Catholic mass. I also found it easy to get to know people, as well as to find ways to help out. Service to our church was an important part of my life as a kid, but it seemed harder at a new parish. Harmony gave me an outlet to do a little something to contribute to a community. The congregation was still small enough that anything a person did would have real, significant meaning to the community as a whole, and that appealed to me as well. Oh, and there’s a regular gambling session, too…with beer! That’s familiar to any Catholic. So you all started seeing me regularly. Emily and Gavin both joined…but I didn’t. After about a year of peel and stick name tags, I showed up one Sunday to find a regular plastic one.  I was somewhat surprised and touched to find that it introduced me as a “Friend” of Harmony. That fit perfectly. The fact is, I will probably always be a Catholic in some form. Not a good Catholic: I’m okay. I believe there is a God, though he probably doesn’t wear a robe and beard. I believe he had something to do with initiating the universe, but I don’t think he did it in seven days. I don’t believe people rode dinosaurs—and frankly, neither do most Catholics. I believe that God loves us, but really doesn’t take to mucking about in our lives all that much unless we ask and actually need it. There’s a lot that I love about the faith, and the rituals and rhythms of the mass hold a familiar comfort. Yes, even the standing/sitting/kneeling. And yet… here I am, in front of you all. This divided me for a long time. I’ll come back to that at the end, but it led me to examine—in an amateurish sort of way—the basic tenets of each faith, and try to find some reconciliation. Okay, so everybody knows both of these lists. Upon quick inspection, there are real differences to be acknowledged. One is a list of guidelines, one of rules. One is pretty positive in tone, one less so. Love the Lord your God with all your heart. I don’t mean to trivialize it, but when I think of it in those terms, any theological struggle I may have for being here is rendered insignificant. I haven’t really told my family any of this, because I’m a coward. My mother is aware vaguely that Gavin goes to Catholic church and to “Emily’s church,” and is learning about both. I feel certain that she also believes that second church to be a minor fling, and that eventually he’ll just be Catholic and that’s that. She assumes I’m just the chauffeur. 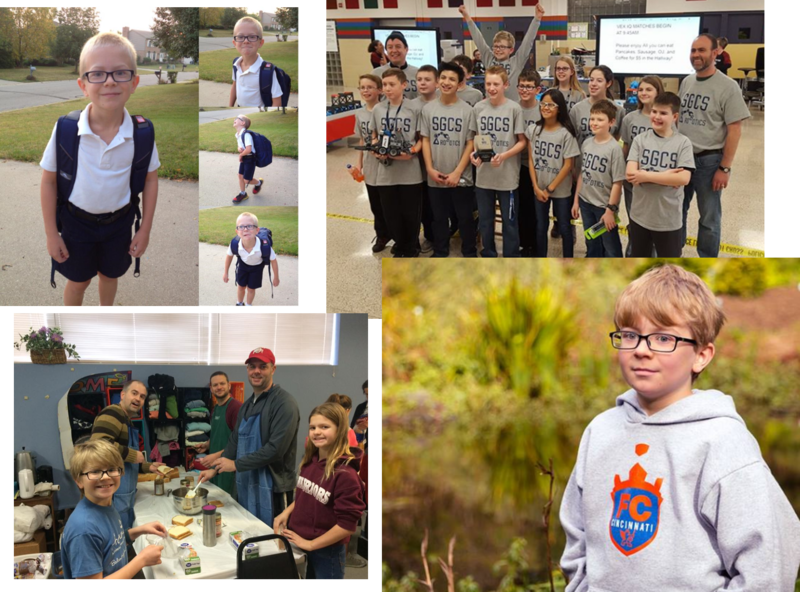 True, Gavin is Catholic; he made his first communion, went to Catholic school through 6th grade, and he will be confirmed at 13, at which point he’ll be considered an adult in matters of his Catholic faith. As a Catholic I have an obligation to usher him through these rights of passage, and intend to fulfill it. But he is also very much UU. He’s gaining a sense of nuance to his views of the world, people of other cultures and faiths, and learning to think critically about everything…something I didn’t learn until much, much later. He lives the principles; and he lives the commandments. He believes in God; and he thinks yours (or your lack of one) is awesome too. I’m co-opting my son because he’ll have a pure chance to choose where I didn’t. Upon his confirmation, Emily and I plan to give him the choice to continue in either faith, or both, or neither. It will truly be up to him, and we’ll support whatever decision he makes. So, what have we learned? Anything? I don’t know where I’ll end up on my personal faith journey, or if I’ve already finished it. But in telling you my story, I feel like I was given a unique opportunity. An opportunity to show you that Catholics aren’t all the same, that many of us are conflicted about how our beliefs dovetail with what we know to be true in the world. But it’s okay when I remember what the word Catholic actually means. And in that spirit of universal diversity, I can report one more bit of learning and progress on my path to understanding my own faith. I think it’s time to refresh my name tag. Jon King decided to become a full-fledged member of Harmony this spring. His new name tag reflects this change.